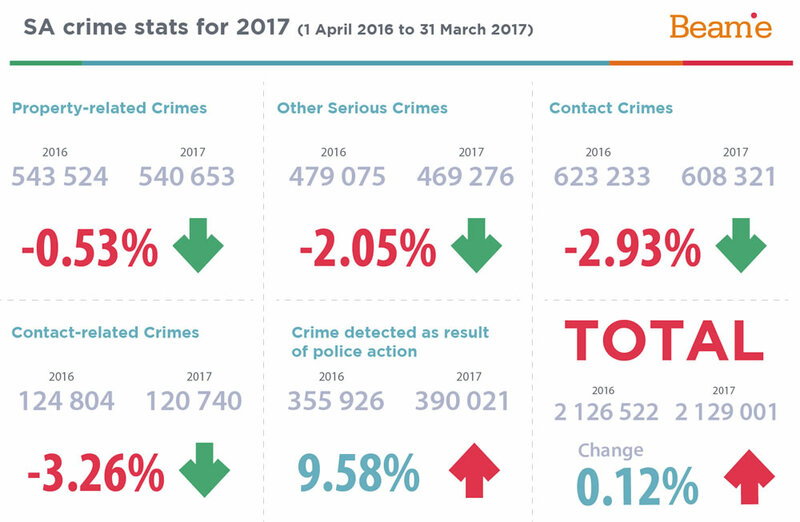 The recent crime statistics for the period between the 1st April 2016 and the 31st March 2017 were released by the South African Police Service (SAPS) earlier this month. The report revealed that there were 16,717 reported vehicle hijackings between April 2016 and March 2017, a drastic increase of 14.45%. The shocking news is that this was the highest number recorded in the past ten years. On average, 46 cars were hijacked each day during this period. Lock up. Lock your doors the minute you climb into the car, and keep them locked until you get out. Stay alert. Always be aware of your surrounding and be aware of anything suspicious. Clever stopping. If you’re travelling late at night, slowdown in such a way that the light is green by the time your reach the traffic light. This avoids you coming to a complete stop, reducing your risk of becoming a target. Make some friends. Knowing your neighbours and the cars they drive will help you identify any suspicious individuals or vehicles. In the unfortunate event that you are involved in vehicle theft or hijacking, call the Beame Emergency number on 086 023 2631 on your mobile or via the Beame Smartphone App to report your stolen vehicle. Download the Beame Smartphone App for free on both iOS and Android platforms.